We may never get to see a solo movie with Mark Ruffalo's Hulk in the Marvel Cinematic Universe, which is definitely a bummer, but Marvel is going to make sure we see plenty of the big guy in the future. 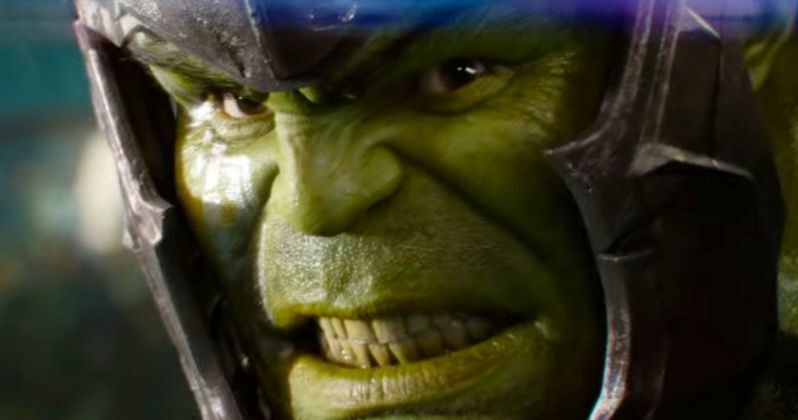 Hulk is set to have a significant role in Thor: Ragnarok, which has been getting stellar early buzz. It turns out, according to Ruffalo, that this is just the start of a new trilogy of Hulk movies, so to speak. Here's what he had to say about it in a recent interview with Cinema Blend. Mark Ruffalo has been vocal about his desire to do a solo movie featuring the Hulk in the MCU, but Universal still owns the rights to the solo movies. That being the case, it doesn't appear that we're ever going to see a solo movie happen, but, based on these comments, it sounds like Ruffalo and Kevin Feige have found a way to tell the story that they want to tell over the course of several movies featuring the Hulk. Ruffalo talked a bit about the dynamic of Bruce Banner/Hulk and how Thor 3 sets up the distinction between the two and how that may factor into the future of the character in the MCU. "Hulk speaking is the start to separating of these two individuals, these identities in this split-identity person, and where that's going to end up going. So it was really interesting to me. He's like a baby! He's like a five year old or six year old. So he has the same syntax, he has the same world view, and so it was fun. It's like Chris [Hemsworth] - we all got to reinvent our characters in this." While most of us haven't seen Ragnarok yet, it will be interesting to see Hulk evolve. It would also be nice to see a solo Hulk movie besides The Incredible Hulk, which starred Edward Norton, in the MCU, but that can't happen. So, instead, as revealed by these comments made to Cinema Blend, Mark Ruffalo and Kevin Feige are going to tell the story they want to tell in Thor: Ragnarok, Avengers: Infinity War and Avengers 4. Not a bad compromise. Thor: Ragnarok arrives in theaters on November 3, which is where we'll get to see the first part of this trilogy.